KUALA LUMPUR (Sept 15): Malaysian Airline System Bhd (MAS) has renewed the contract of its managing director and chief executive officer, Ahmad Jauhari Yahya. In a filing with Bursa Malaysia this evening, MAS said Ahmad Jauhari's contract would be extended for one year, with effect from Sept 20, 2014 to Sept 19, 2015. Ahmad Jauhari will be leading MAS, even after its de-listing from Bursa Malaysia — targeted at the end of this year, following the privatisation exercise by its major shareholder Khazanah Nasional Bhd. 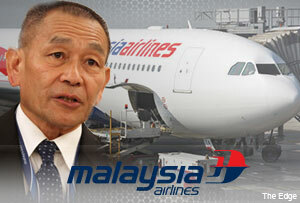 Meanwhile, the search for the CEO of Newco (the new operational company of MAS post-privatisation) is still ongoing.